Thailand (10): Interesting Thai culture and world renowned nightlife ensure as good of a time off the course as on. Golf in A Kingdom is all about the Thai golf experience. My favorite non-golf activity is a foot massage. After all, it is only $10 US and can be found on practically every street corner. Singapore (4): Golf in Singapore is very expensive. Green fees at the Sentosa Serapong Course are $300 US a round. Accommodations are also very expensive as a good 5* hotel room costs over $300 US a night. Food and entertainment, while also nice, are also expensive compared to neighboring countries. Thailand (8): It is true that Thailand golf courses have continually raised their green fees over than past 5 years and many of the better Thai golf courses now charge over $100 US for a round. The good news is that lodging and other costs are very reasonable, so a Thailand golf holiday is less expensive than you might think. 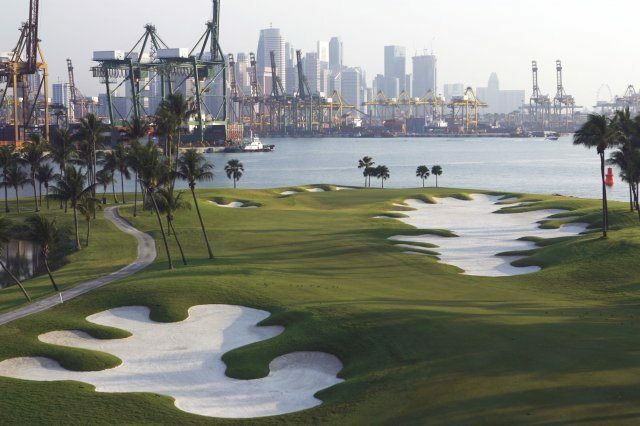 Singapore (5.90): Singapore is not big a golf destination in and of itself. Most golfers prefer to combine Singapore with other destinations like nearby Bintan or Malaysia. Also, Singapore can be considered for a short stopover as Singapore Airlines has many good connections to other Asian golf destinations. Thailand (8.70): Thailand is a very popular golf destination for golfers from Europe, Asia, and Australia. For a truly special golf experience where everyone leaves a winner, Thailand is hard to beat.